(Bahir Dar ‘sea shore’ in Amharic) is a city in North Western Ethiopia 565 kms from Addis Ababa, 174 kms from Gondar in the heartland of Amhara society. Bahir Dar is one of the leading tourist destinations in Ethiopia with a variety of attractions in the nearby Lake Tana and Blue Nile River. The city is considered as one of the most beautiful, well planned, and safest cities by many standards, and in 2002 it was awarded UNESCO Cities for peace prize for managing to address the challenges of rapid urbanization. 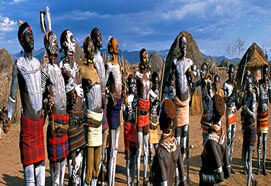 It is situated on the Southern shore of Lake Tana. 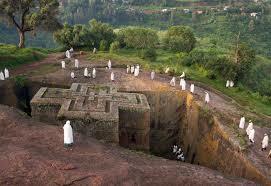 The Jesuits started the seedbed for establishment of Bahir Dar in 16th century. Bahir Dar is the base to visit monasteries and churches on the islands of Lake Tana, and Blue Nile River. Lake Tana and Blue Nile River – Lake Tana is the largest high land lake in Ethiopia with an area of 3673 km2. The average depth is 14 m and measures from North to South 70 kms, from East to West 60 kms. Its formation is the result of lava emission dam. 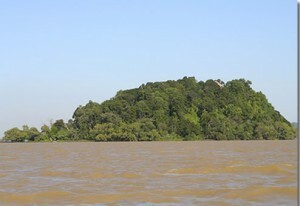 Lake Tana is endowed with fish, avifauna, and islands. There are 36-37 islands among 20-22 islands consist of monasteries and churches. Although Lake Tana is considered as the source of Blue Nile River, Gishen Abay that rises from Gojjam Province is taken as the source of Blue Nile River by some scholars. The Jesuits in 16th century and James Bruce in 17th century visited Gishen Abay. Blue Nile River joins White Nile at Kahrtoum that altogether goes to Mediterranean Sea. Blue Nile Water Fall – 35 kms southeast of Bahir Dar is the site of the most marvelous Blue Nile Fall. Local people prefer to call ‘Tis esat’ (water that smokes). It used to cover all the rock above 400 m wide during the rainy season and up to 45 m, it used to drop. Currently, the water fall less because of damming for hydroelectric power station. However, it retains its spectacular fall with the addition of rainbow, riverine forest and surrounding landscape. Blue Nile Fall was visited by the Portuguese traveler Fransico Alvarez in 1520’s and Queen Elizabeth II of England in 1965. Ura Kidane Meheret – is found on Zeghe Peninsula. 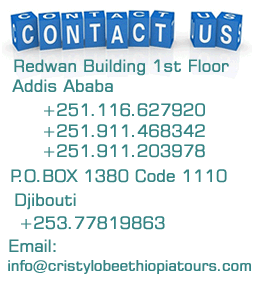 Historically, it dates back to 14th century during the reign of King Amda Tsion. The founder was Aba Ze Yohanese. The old paintings on the wall around the holy of holies with biblical theories and the treasures in the small museum are very amazing. Azwa Mariam – it is typical traditional church on the Zeghe Peninsula. It has rich old paintings like Ura Kidane Meheret. Mehal Zeghe Giorgis and Betre Mariam – They are renovated churches with 18th century paintings. Kibran Gebriel – it is a monastery on Kibran Island. It is only allowed for men to visit. Historically, the foundation of monastery dates back to 14th century. It houses the largest library of very ancient crosses and manuscripts. Entos – Small Island with a nunnery. However, both men and women can visit. 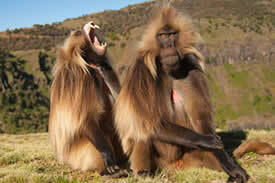 Debre Mariam – it lies on the southeast corner of lake near the exit of Blue Nile River. There is a richly illuminated manuscript of the four gospels in this church. Narga Selassie – it is found on Dek Island, central part of Lake Tana. 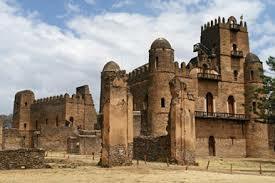 Empress Mentuab of Gondar built this church in 18th century. Narga Selassie is known for its typical Gondarian paintings. Daga Istephanos – it is very close to Dek Island from east direction. A monastery is only allowed for men. The bodies of important Ethiopian Emperors reserved here: Yukuno Amlak (13th c), David I (14th c), Zara Yaqob (15th c), Za Dengel (17th c), Fasil (17th c). 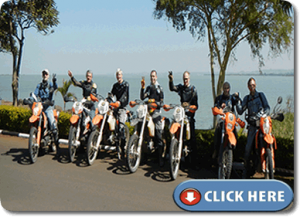 Tana Cherqos – it lies on the eastern shore of Lake Tana. The traditional story states that the Ark of Covenant stayed here for many years before it was taken to Axum. The sacrificial stones of Jewish rites can be seen which gives evidence for the Jewish settlement there and may be those of the Jews who accompanied Menelik I with Ark of the Covenent. It is only allowed for men to visit.